I was born and grew up in Washington DC where my mother, a student of art history, introduced the downtown national galleries. From the beginning, I was entranced by scenic art and spent long hours mesmerized by both western and oriental landscape paintings. 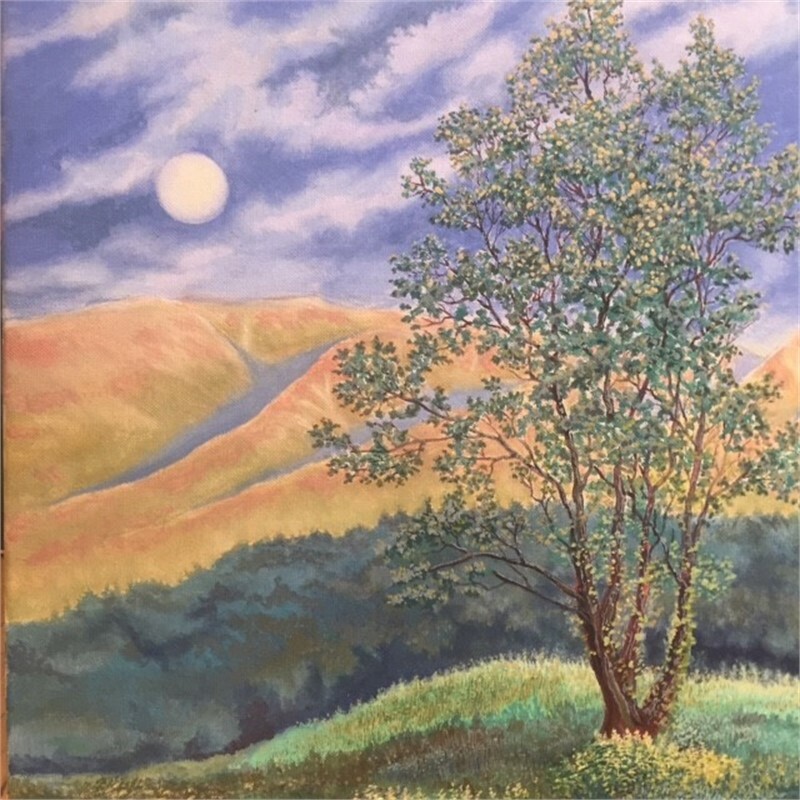 I have been active in my own pursuits of painting, drawing and film animation since early childhood, and have been especially attracted to the mountains of New Hampshire and coast of Maine since that time. 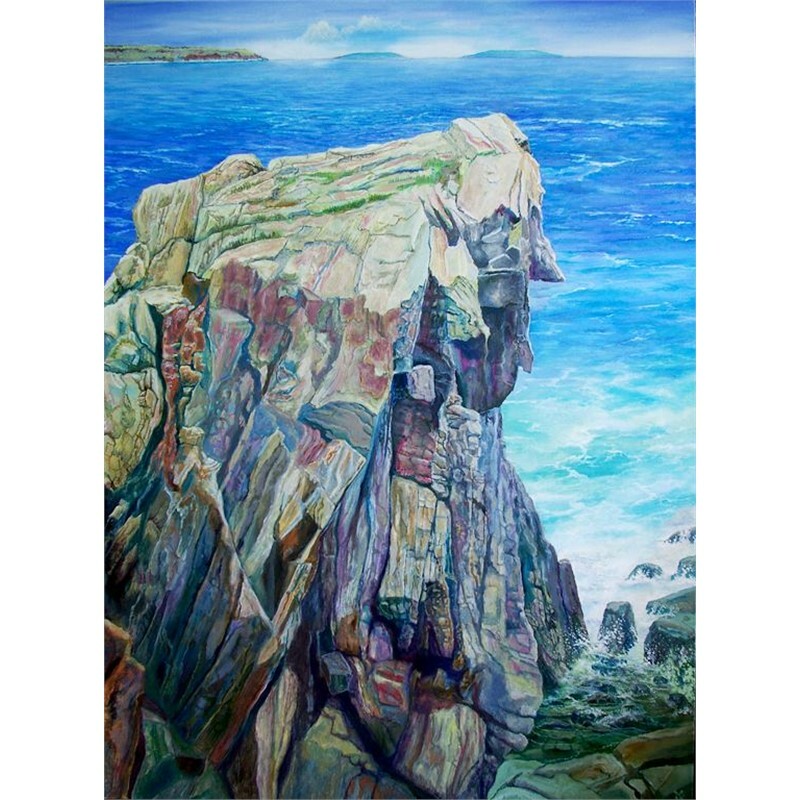 When I was about twelve my family and I visited the fabled island of Monhegan where I recall the magic of the Cathedral Forest with its fairy houses and where I executed one of my first oil paintings of a wall of lobster buoys. A little later I had the opportunity to create and paint sets for plays at summer camp in Vermont and in New York at boarding school. Later in college I majored in architecture with a minor in stagecraft. My interest has always been to explore spatial environment and atmosphere. Even after I graduated from Washington University in St. Louis in 1976 with a Masters in Architecture, I continued to work in related fields including film work as an art director with a PBS affiliate. 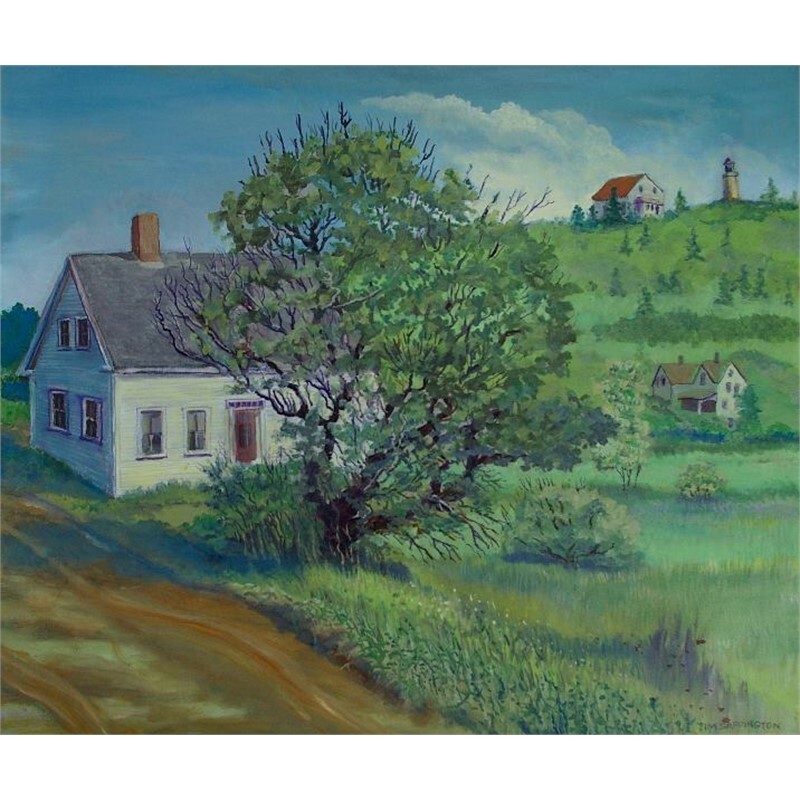 I moved to New Hampshire in 1981 where I have completed over 200 architectural projects, nevertheless the beauty of northern New England beckons me to paint. I have helped many youth discover art, in stage scenery with school and community theater groups as well as in architecture. I have served on the NH State Arts Council and NH Historical Resources Commission furthering my advocacy for the arts. 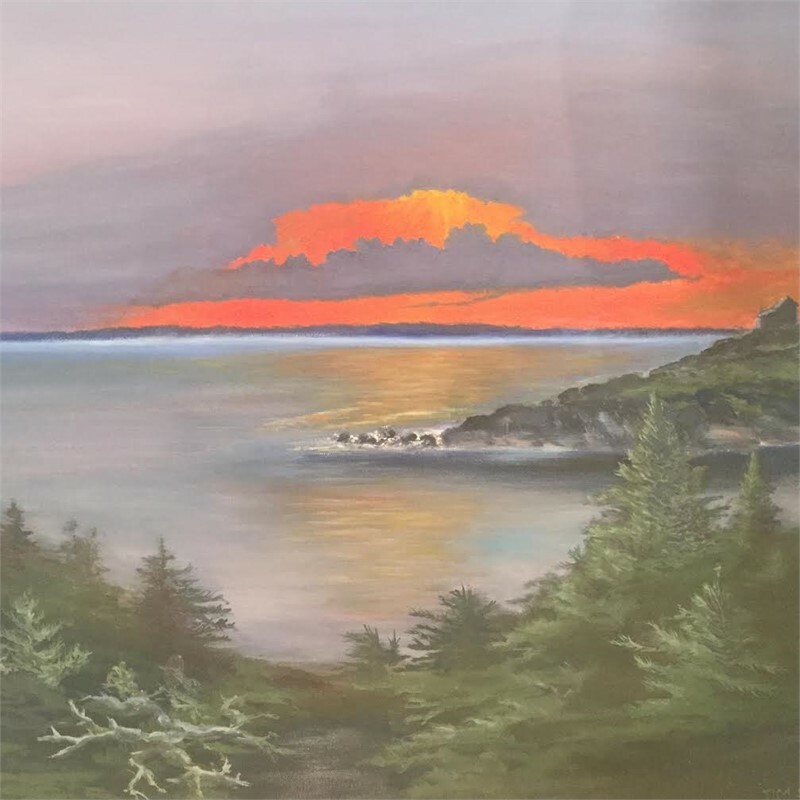 In the last couple of decades I have greatly intensified my painting activity particularly around my home in northern New Hampshire and along the Maine seacoast, including several extended trips to Monhegan with my wife and other serious artists. I have explored many artistic directions. At the moment I am drawn to the extraordinarily intricate cubistic geometry of the rock and cliff formations found in two Maine parks, Fort Williams and Two Lights, both in Cape Elizabeth just south of Portland. 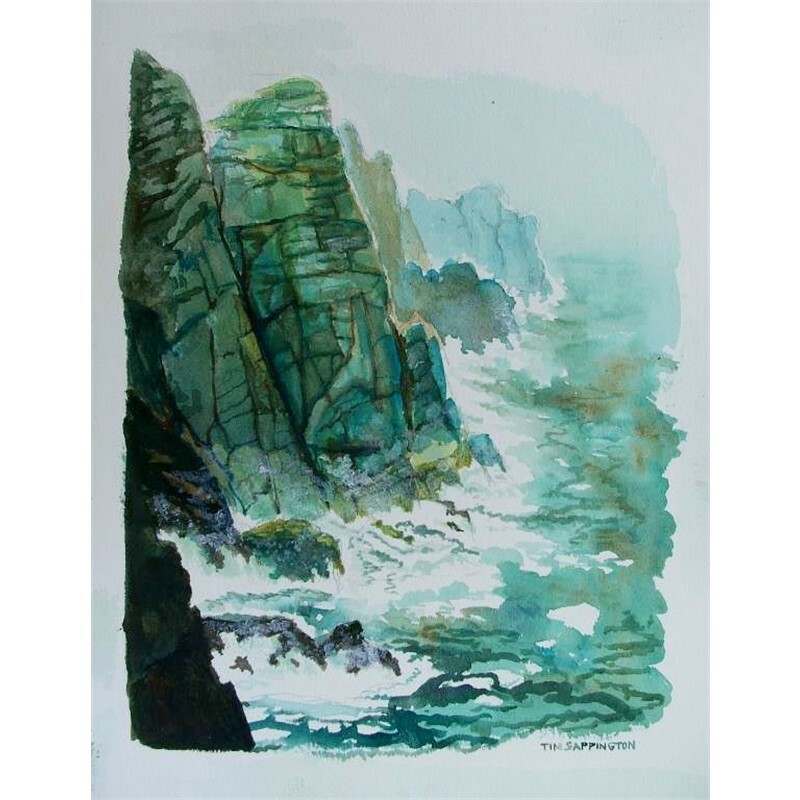 The timeless solidity of the rocks is constantly being attacked by the surf and is often engulfed by the atmosphere. Both tend to soften the presence of the imposing formations and dissolve them into scrim like backdrops. My brushwork continually swings between detailing the minutest fissures and textures on the one hand to maintaining a softer impressionism on the other. The intention of this two-fold technique is to use a hard architectural reality to lend credence to and enhance the mystery and poetic romanticism of my subject. I was born and grew up in Washington DC where my mother, a student of art history, introduced the downtown national galleries. From the beginning, I was entranced by scenic art and spent long hours mesmerized by both western and oriental landscape paintings. 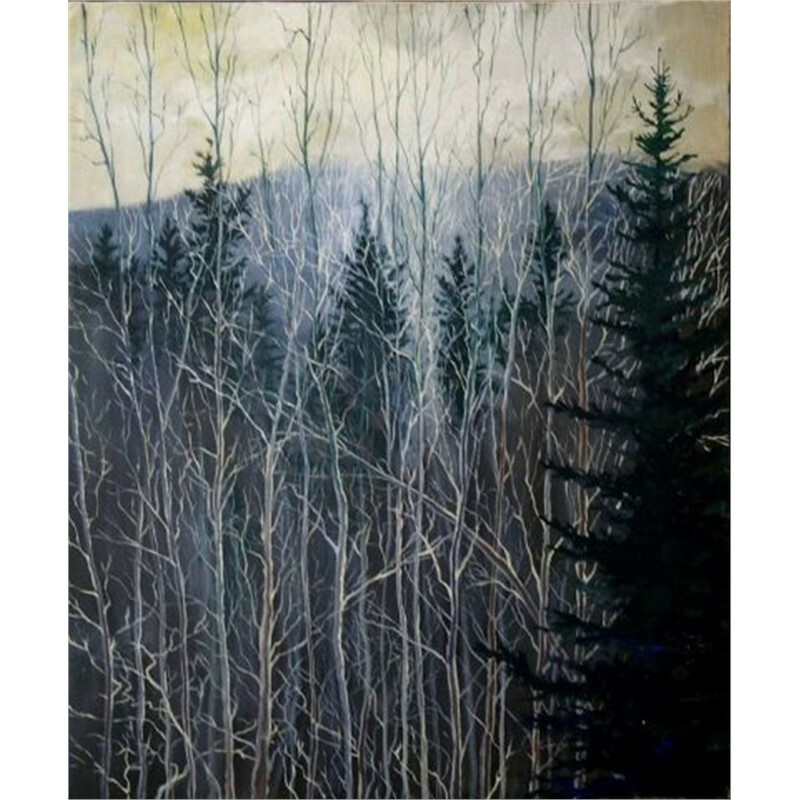 I have been active in my own pursuits of painting, drawing and film animation since early childhood, and have been especially attracted to the mountains of New Hampshire and coast of Maine since that time. 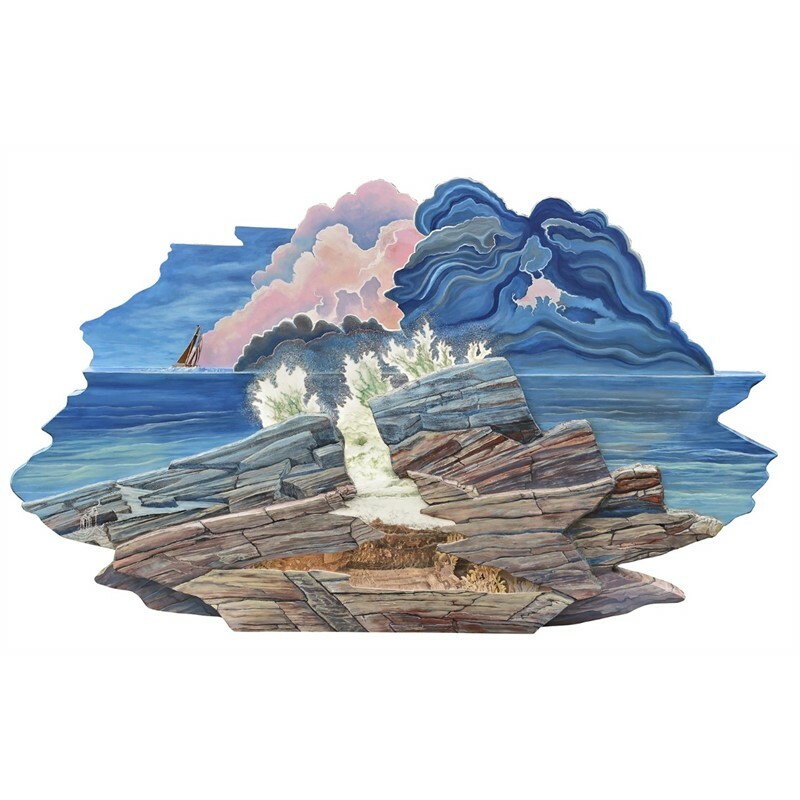 When I was about twelve my family and I visited the fabled island of Monhegan where I recall the magic of the Cathedral Forest with its fairy houses and where I executed one of my first oil paintings of a wall of lobster buoys. A little later I had the opportunity to create and paint sets for plays at summer camp in Vermont and in New York at boarding school. Later in college I majored in architecture with a minor in stagecraft. My interest has always been to explore spatial environment and atmosphere. Even after I graduated from Washington University in St. Louis in 1976 with a Masters in Architecture, I continued to work in related fields including film work as an art director with a PBS affiliate. 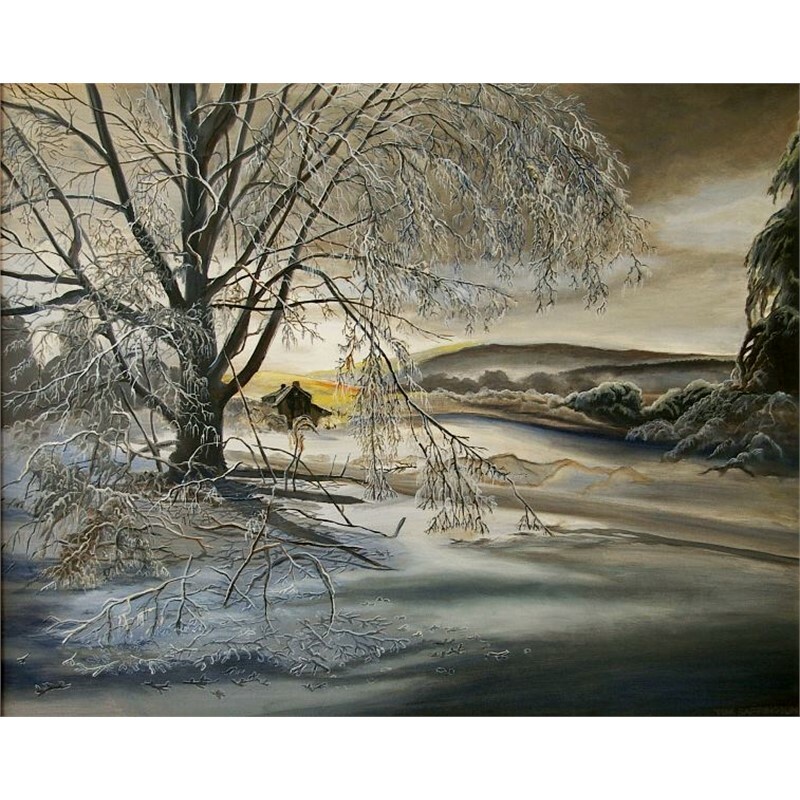 I moved to New Hampshire in 1981 where I have completed over 200 architectural projects, nevertheless the beauty of northern New England beckons me to paint. I have helped many youth discover art, in stage scenery with school and community theater groups as well as in architecture. I have served on the NH State Arts Council and NH Historical Resources Commission furthering my advocacy for the arts. 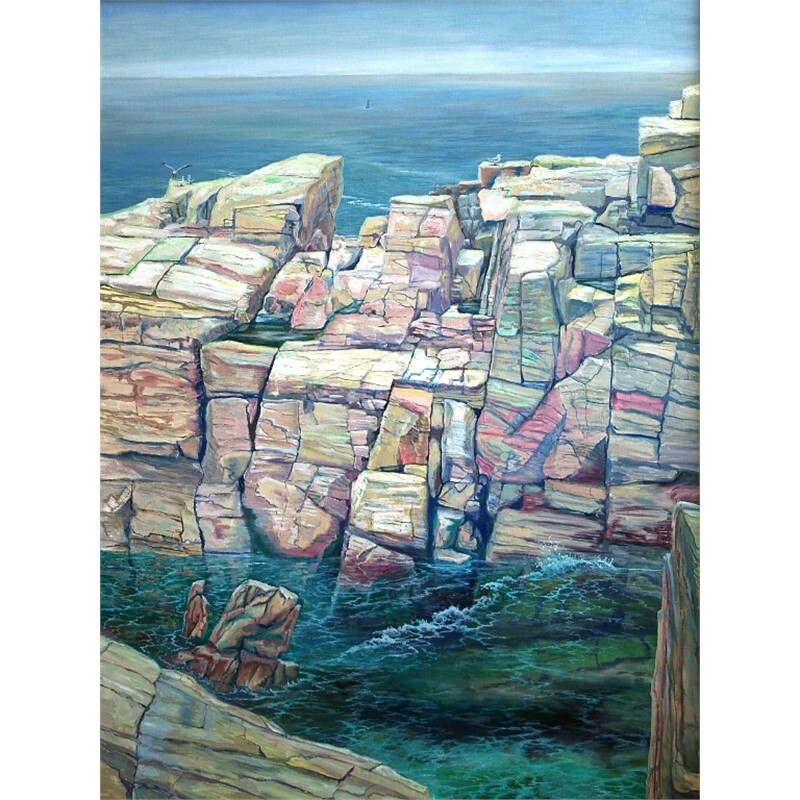 In the last couple of decades I have greatly intensified my painting activity particularly around my home in northern New Hampshire and along the Maine seacoast, including several extended trips to Monhegan with my wife and other serious artists. I have explored many artistic directions. 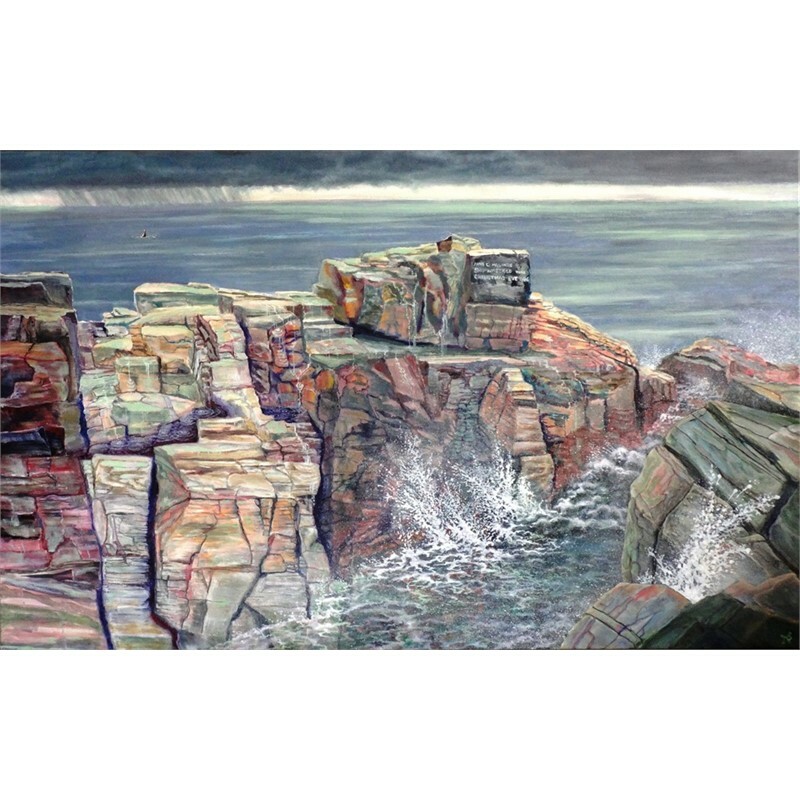 At the moment I am drawn to the extraordinarily intricate cubistic geometry of the rock and cliff formations found in two Maine parks, Fort Williams and Two Lights, both in Cape Elizabeth just south of Portland. 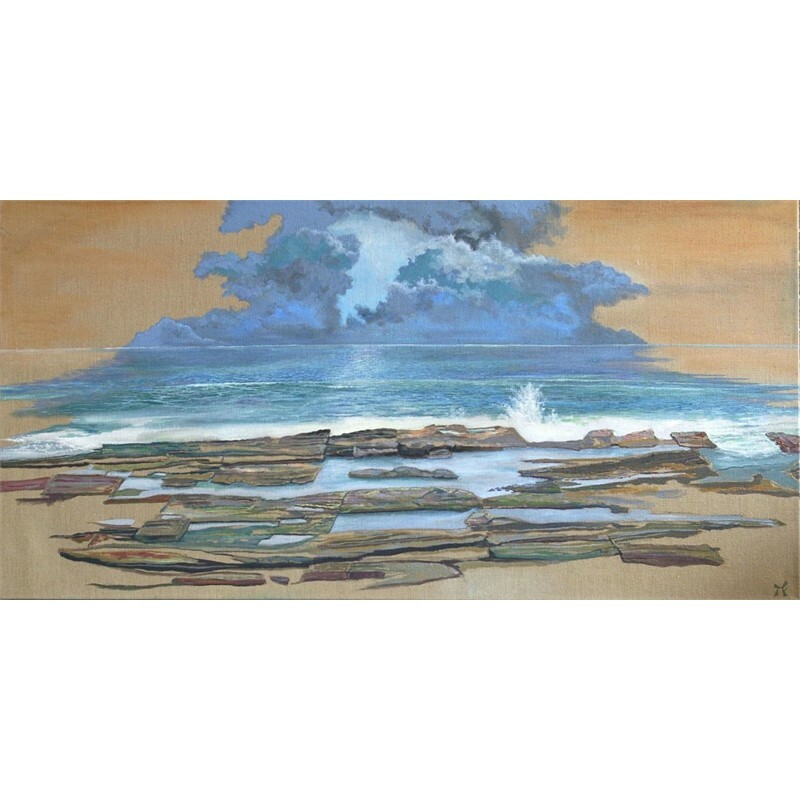 The timeless solidity of the rocks is constantly being attacked by the surf and is often engulfed by the atmosphere. Both tend to soften the presence of the imposing formations and dissolve them into scrim like backdrops. My brushwork continually swings between detailing the minutest fissures and textures on the one hand to maintaining a softer impressionism on the other. The intention of this two-fold technique is to use a hard architectural reality to lend credence to and enhance the mystery and poetic romanticism of my subject.